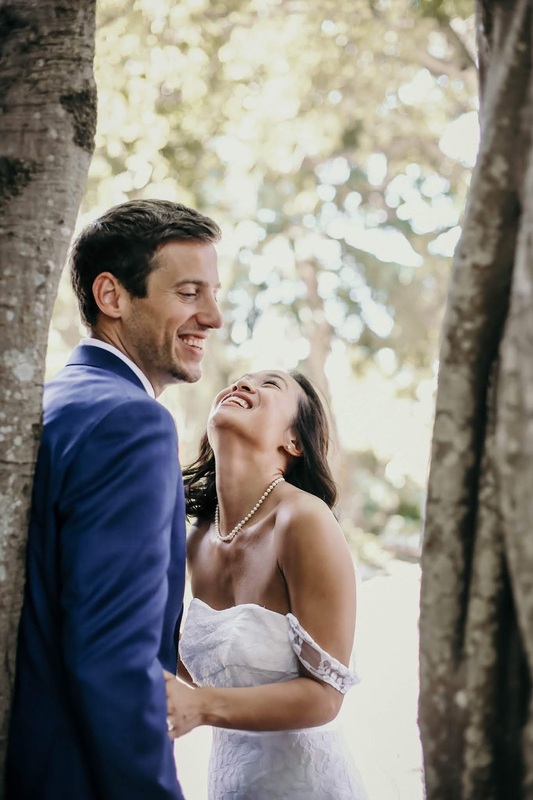 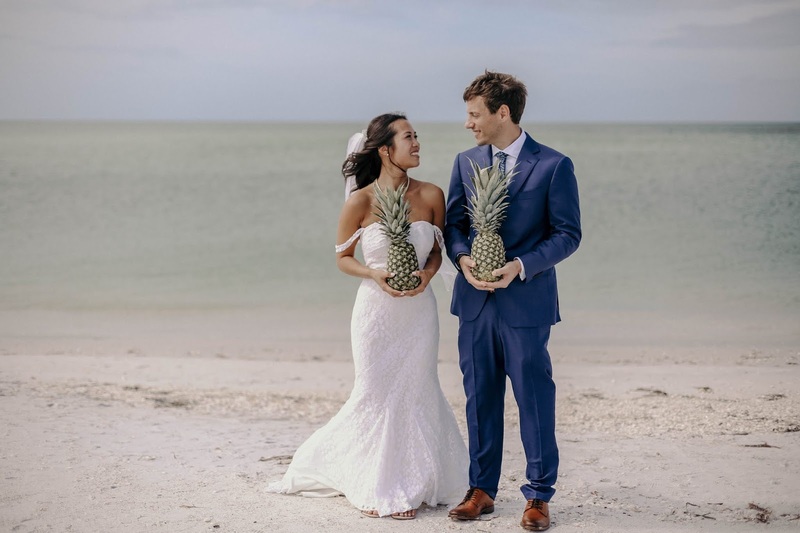 Ti and Joe tied the knot in a very tropical setting. 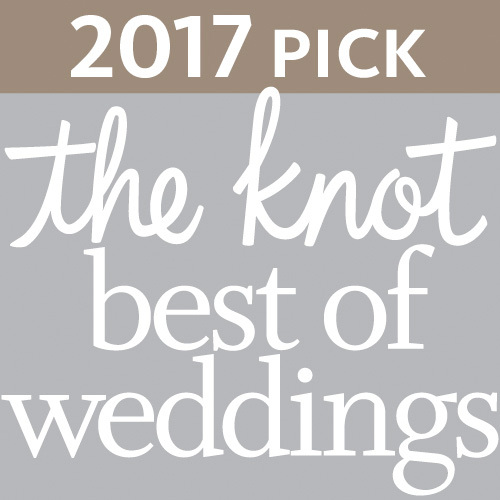 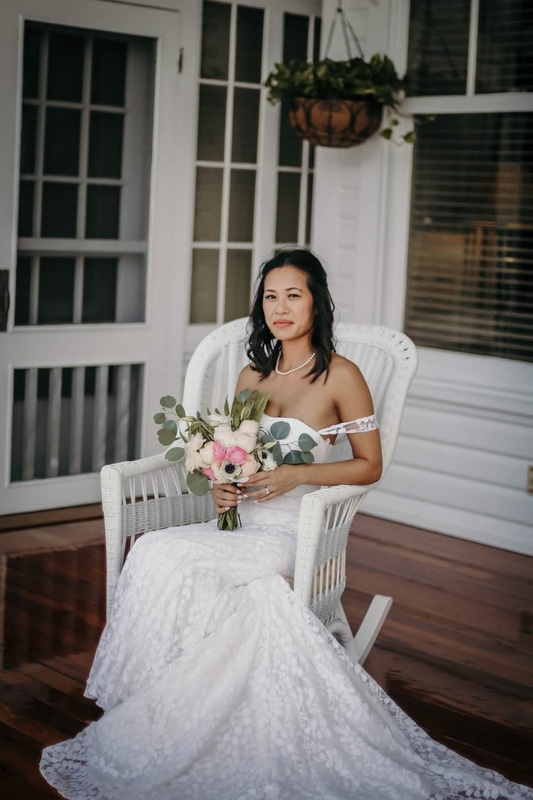 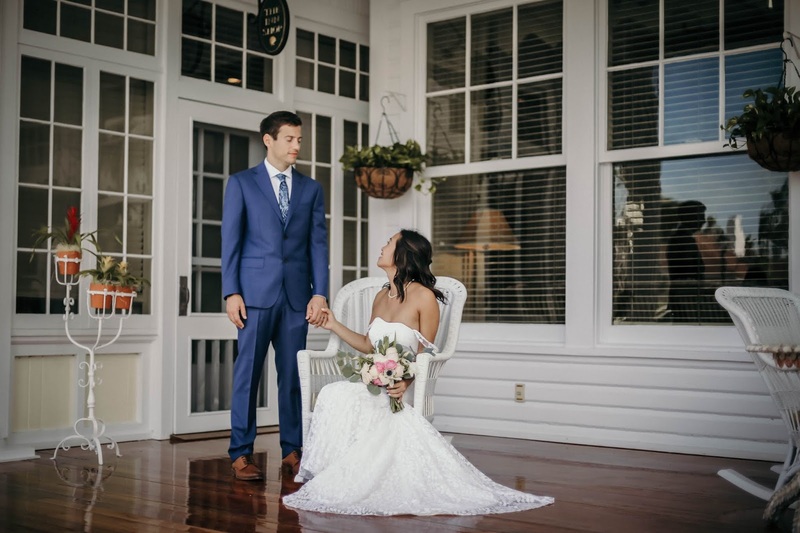 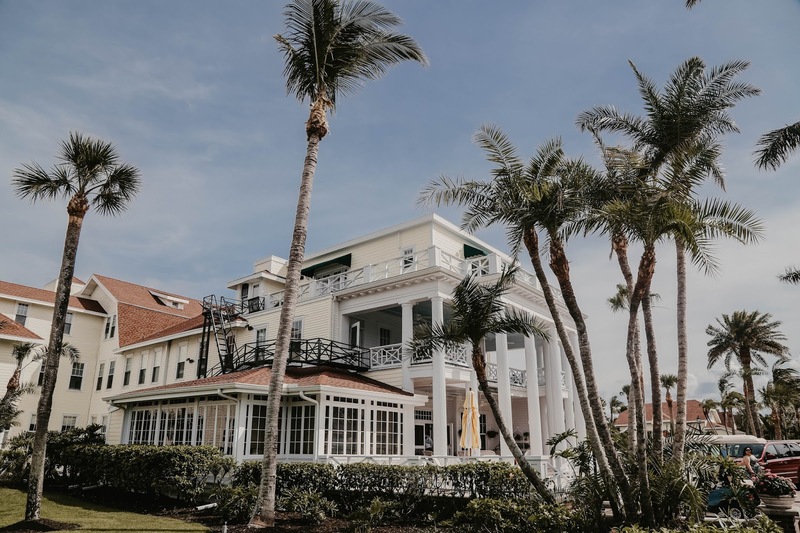 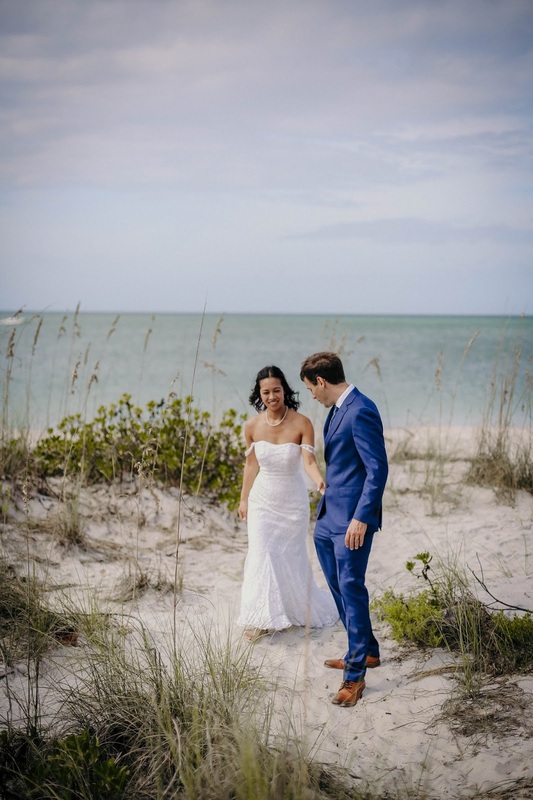 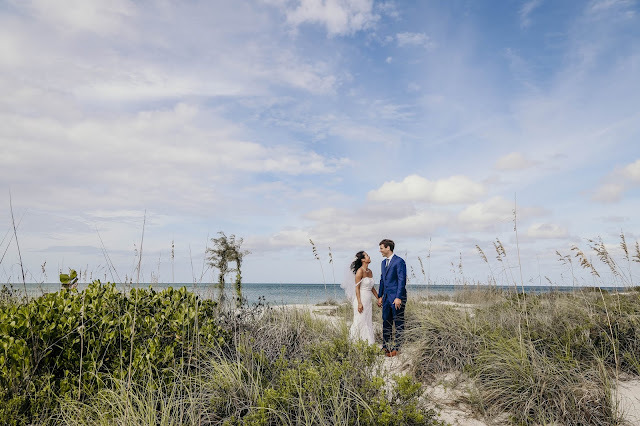 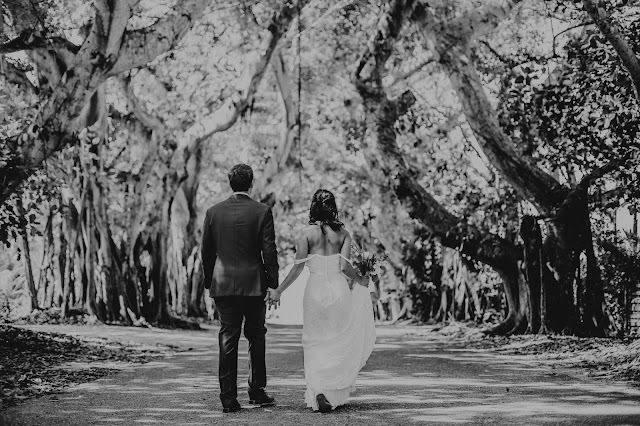 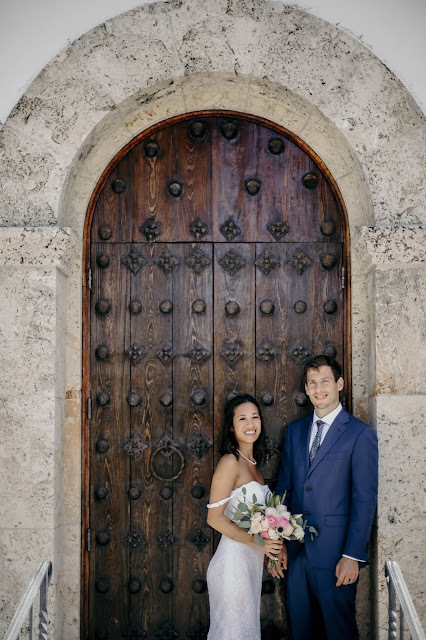 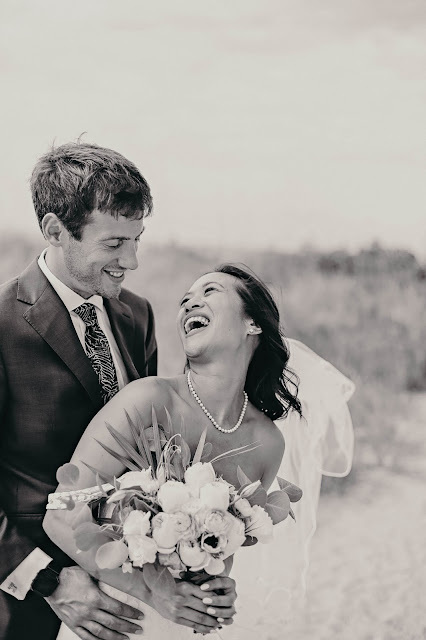 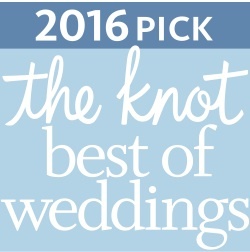 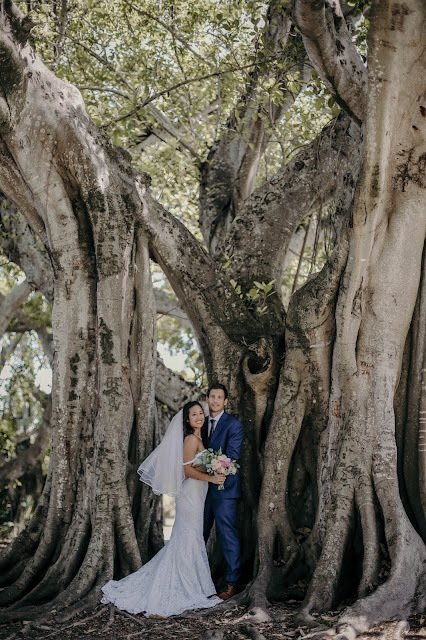 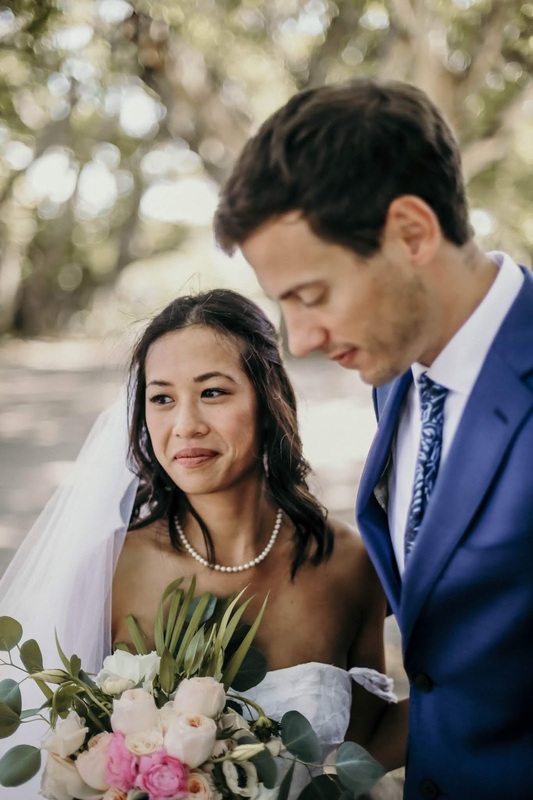 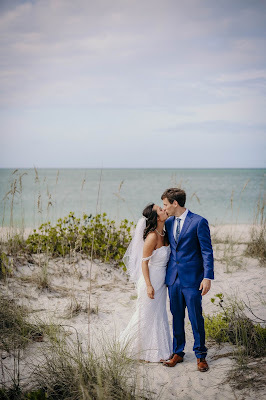 The couple selected Boca Grande for their Florida destination wedding. 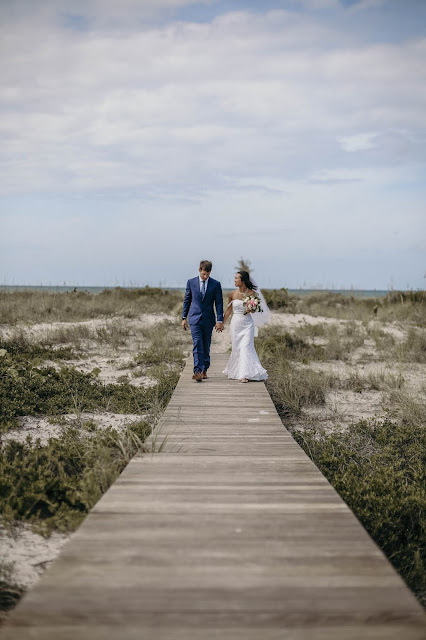 They rented a fabulous beach home and gathered their guests just outside the vacation home for a morning seaside ceremony. 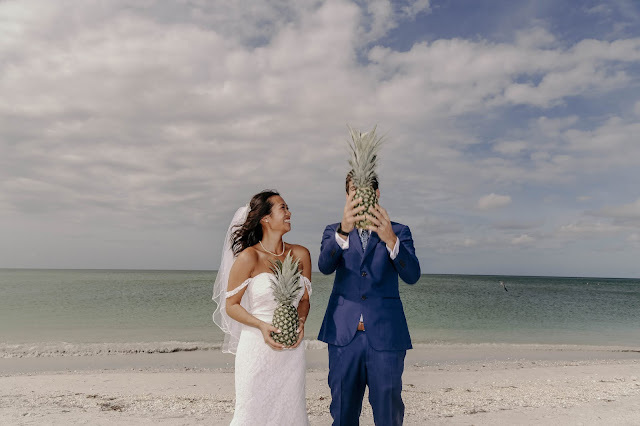 After their ceremony we shuttled Ti and Joe around the island for pictures while their guests made their way to the Gasparilla Inn for a brunch reception. 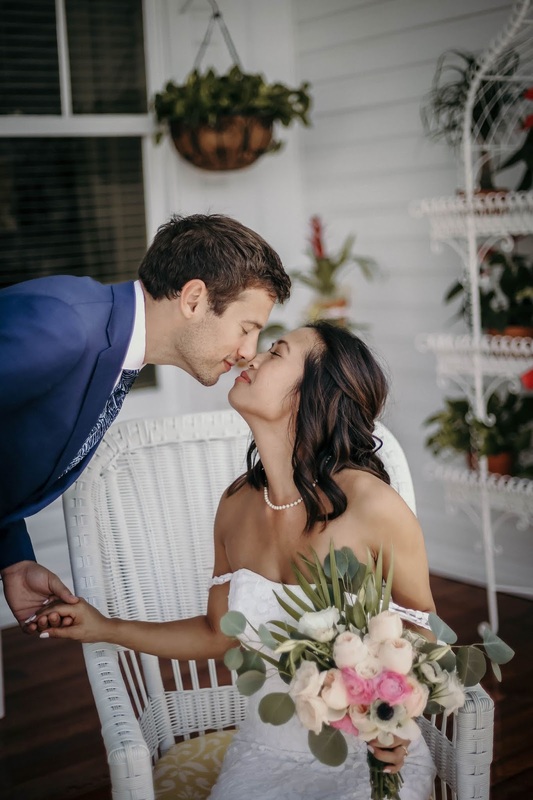 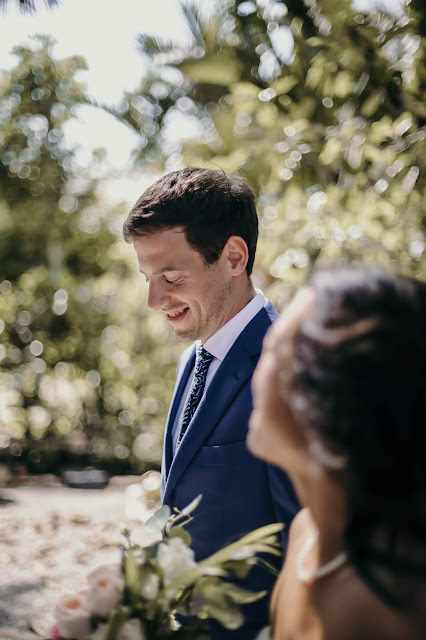 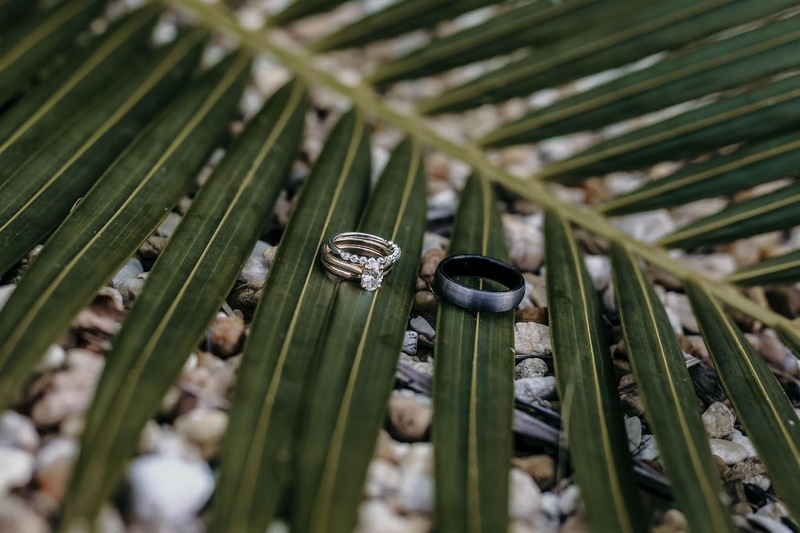 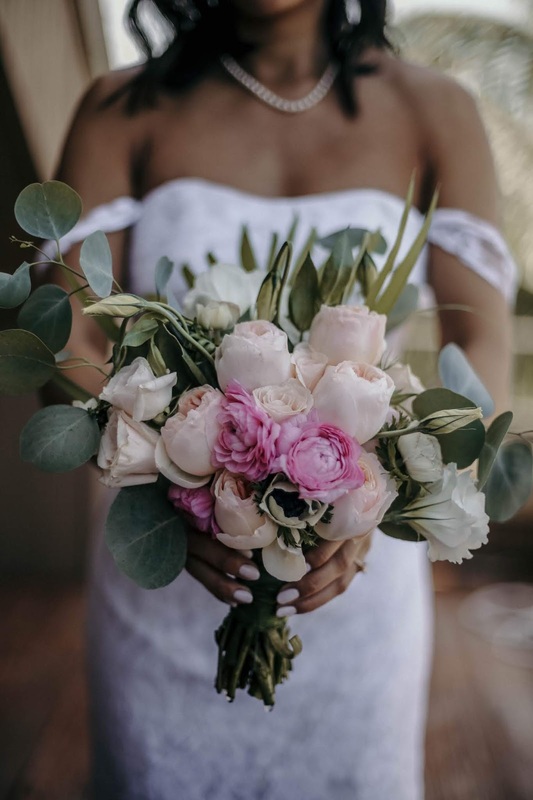 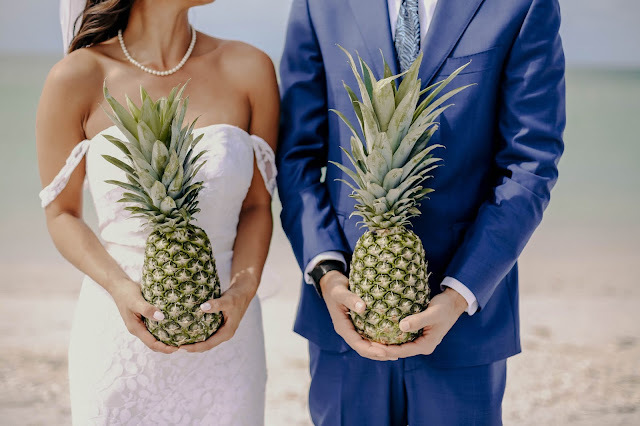 After a short bit of wedding pictures the couple joined their guests and celebrated their union with a lovely (and very tropical) brunch. Complete with pineapples and palms the day was definitely a very island wedding! 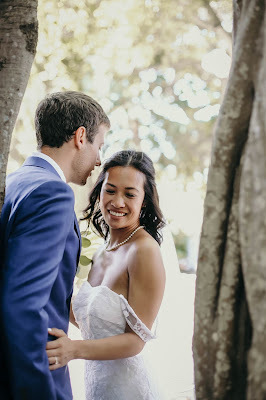 Loved being the photographer for this adorable couple and getting to know them and their guests. 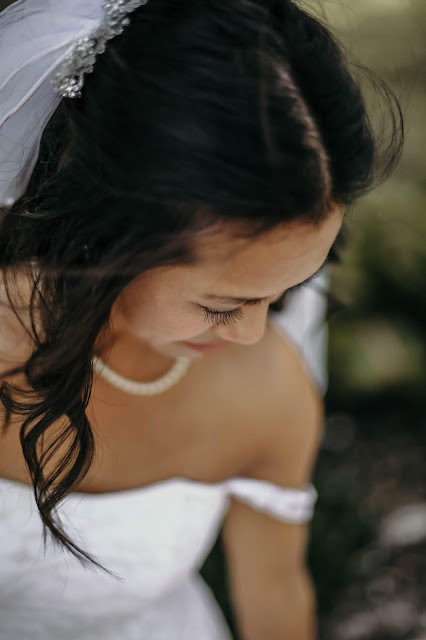 I am always thrilled to photograph on Boca Grande and this wedding made my job extra special!